Responsible for Site Supervision and execution of all electrical construction and maintenance works/activities in designated projects in a sustainability manner to ensure reliable and quality electricity supply with maximum Stakeholders satisfaction. ➢ Supervision of Site Construction and Maintenance Works according to specified agreeable standards with maximum safety standards and quality workmanship. ➢ Supervision and execution of site works with maximum efficiency in the utilization of company resources on and off site; with quality work outputs. ➢ Participate in planning and design of electricity network of prospective construction and maintenance projects to ensure quality compliance and timely delivery of work in the agreeable time and scope. ➢ Conduct weekly detailed safety meetings with site foremen to determine risks, availability and use of PPEs to ensure zero accident in projects execution. ➢ Prepare and submit timely Daily, Weekly, Monthly and Quarterly reports for any assigned construction or maintenance works for Management decision making. To control, effectively supervise daily procurement functions of the Company, for ensuring that best value of supplies for goods, services and works wherever they are sourced while adhering to all internal and external Procurement, Financial and Company regulations. ➢ To co-ordinate and prepare tender documents to ensure the production of realistic and commercial tenders. ➢ To liaise with User Departments of goods, services and works to ensure that resources are co-ordinated and procured timely. ➢ Ensure timely posting of procurement information into procurement information system (PMIS) developed by PPRA. ➢ Advice user departments entities on the full range of procurement issues, providing support and guidance at all stage of the procurement cycle. ➢ The job holder will facilitate and provide technical support on, procurement planning processes, budgetary control of public resources and disposal of Public Assets of the entity. ➢ Keenly review Procurement Audit Reports to ensure compliance and conformity with legal and regulatory framework governing the procurement and disposal of Public Assets. ➢ Coordinate the effective management of the evaluation process, by facilitating constitution of evaluation teams. ➢ Supervise, mentor and motivate subordinate staff. ➢ To carry out any other reasonable duties and responsibilities within the overall function, commensurate with the grading and level of responsibilities of the post. To implement procurement processes (goods, works and services) in a transparent, objective, economic and efficient manner; consistent with relevant policies, legislation, regulations and guidelines in accordance to Public Procurement Act, 2011, its amendments and any other International procurement guidelines. ➢ Make follow up, keep record and reports of all procurement activities performed within the company. ➢ Participation in preparation and / or reviewing of Users requirements, solicitation documents, evaluation reports and any other documentation related to Company procurement process as may be required from time to time. ➢ Timely preparation of Weekly, Monthly and Quarterly Procurement Progress Reports. ➢ Data entry of procurement information into Procurement Management Information System (PMIS) developed by Public Procurement Regulatory Authority to ensure data are correctly entered at all stages of procurement. ➢ Participation in process of preparation of Corporate Annual Procurement Plan, updating the same in order to achieve total compliance to the plan. ➢ Assist in compilation and archive records of procurement and disposal proceedings to ensure availability of respective records for minimum period of five years from the date of completion of contracts. ➢ Planning and executing assurance and consulting audit engagements on Projects Management, Financial, Compliance, Information System, Technical, Operational audit and any required special investigation resulting in improved controls and operating efficiencies. ➢ Carry out periodical inspection/checks of the physical assets and inventories of the organisation to ensure that they are properly utilized, maintained, safeguarded and adequately controlled. 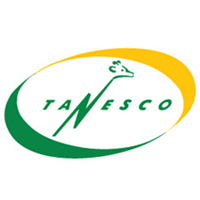 ➢ Preparing and finalizing written Audit Reports for review by TANESCO Head of Internal Audit Unit for inclusion in periodic reporting to the Audit Committee of the Board and Executive Director / Management. ➢ Coordinating and liaising with Independent External Auditors to ensure year-end audit control testing by Internal Audit is performed efficiently, effectively, timely and at a minimum, meets their expectations / requirements. ➢ Where applicable, managing and developing staff throughout the course of assurance and consulting engagements. ➢ Perform other duties and special projects/audits as required by the Executive Management and the Audit Committee of the Board of Directors from time to time. -Experience of not less than 3(three) years of working with/in a renowned Public or International Audit Firms. ➢ In collaboration with the Finance Department for input and stakeholder ownership, design, construct and develop financial systems that will support Company Financial Functions to achieve Company Objectives in accommodating issues of Financial and Compliance. ➢ In collaboration with Human Resources Department for inputs and stakeholder ownership, design, construct, develop and maintain Human Resources System that should incorporate Scheme of Service and Performance Management to ensure employers’ employee relation needs are addressed. ➢ Design, construct, develop and maintain a good Project Management System that is to support in projects planning, management and appraisal for monitoring and evaluation of projects success. ➢ Train employees for management and operations of the respective systems to ensure job continuity in case of systems failure. ➢ Maintenance of existing ICT networks for employee effective and timely communication within the Company and outside. ➢ Perform other duties as assigned by the Executive Management from time to time. -ETDCO Limited wishes to recruit competent persons with high values of integrity and honesty, solicitation for favors will lead to disqualification of job aspirants. URSINO HOUSE 21 – MWAI KIBAKI ROAD.